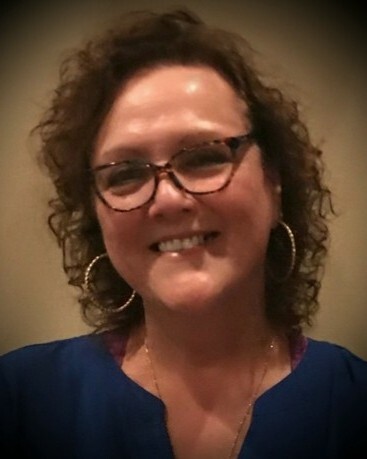 Mariana Di Maria, 59, of Tinton Falls, formerly of Middletown, entered eternal rest on Wednesday, March 27, 2019, surrounded by her loving family. Born in New York City to Egidio and the late Giuseppina Rasile, Mariana was a resident of Staten Island, where she attended school, made many lifelong friends, and began her family. A devout Catholic, Mariana enjoyed her time going to Bible study and prayer group. She dedicated her life to becoming a Registered Nurse, an accomplishment she was extremely proud of. Mariana is survived by her beloved husband and best friend of 38 years, Rosario, her adoring sons Joseph, and his wife Bobbi-Jo, Mark, and his wife Moriah, and Andrew. Her most cherished grandchildren, Luciano, Antonella, and Ravenna, who will carry on her legacy. Her father, Egidio Rasile, her brother, Frank Rasile, and her sister, Angela Rasile-Bisogno; as well as her nieces, nephews, cousins, aunts, uncles, and a host of devoted friends. To know Mariana, was to love her. With her larger than life personality, Mariana made sure to always brighten a room with her infectious laughter. Her grandchildren were everything to her, bringing her as much joy as she brought them. She was a doting wife, loving mother, the best grandmother, the most amazing friend, and the matriarch of our family. In remembrance of her life, a tribute will be held on Sunday, March 31, 2019 at 2:00 P.M. – 4:00 P.M. and at 6:00 P.M. – 8:00 P.M at the John E. Day Funeral Home, 85 Riverside Avenue, Red Bank, NJ. A Mass of Christian Burial will be held on Monday, April 1, 2019 at 10:00 A.M. at St. Anthony of Padua Church, 121 Bridge Avenue, Red Bank, NJ. As a nurse and as a woman of unwavering faith, Mariana would want nothing more than to leave behind the message of hope for all those who have been touched by this awful disease. In lieu of flowers, the family requests that you make a donation in Mariana’s memory to help support lung cancer research at Memorial Sloan Kettering Cancer Center by visiting http://mskcc.convio.net/goto/MarianaDiMaria.